If you mention Isis to someone these days the first thought that comes to mind are the Islamic militants in the Middle East who are currently dominating the news, along with Ebola and water charges. 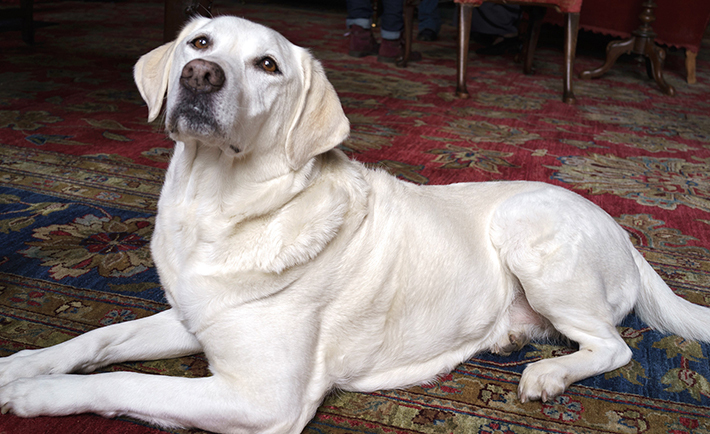 It’s slightly less likely that you will think of another Isis, the Labrador retriever from Downton Abbey. Ironic as it may be for a period drama to get caught up in current events, it could have provided the creators with a real platform to weigh in on one of the most highly discussed events of the past few years. The show didn’t mean to attract the kind of notoriety that goes with being associated with a fundamentalist, anti-western organisation but alas, they did. Instead they seemed to have bottled it. In the latest episode of the show it was revealed that Isis has cancer and will most likely die before the season ends. Actor Hugh Bonneville, who plays the Earl of Grantham, recently released a statement to the effect that the choice of name was coincidental as they were following an Egyptian theme. Whether this is the case or not seems to be beside the point, surely there has to be scope to alter plans and plots, especially with such an opportunity as this. Apart from establishing an interactive atmosphere with fans, a move that defies a temporal logic in favour of relevance is not a heavily trodden path. With fantasy and historical dramas becoming more and more prevalent, is it possible that there will be a necessity to look outwards rather than into the past? undoubtedly,Downton Abbey has tackled some big issues already, though only retrospectively and with the whole picture at hand, rather than in process. It seems that the number of topical shows over the past decade or so has decreased as reality TV was brought into vogue. With the exception of HBO’s output, South Park and a few comedy-panel shows, there doesn’t seem to be much coverage of the modern trends that effect viewers. There is the feeling that only certain shows can talk about current events, with the funny, explicit cartoon or the in-depth, analytical drama leading the way in providing pastiches of modern life. House of Cards’ political intrigue hits home, but with what frame of reference are we supposed to view some of the occurrences in Game of Thrones? TV creates trends these days, rather than providing commentary. With all this in mind and as we see Hitch and Marley & Me remade as TV shows or news becoming a very strict John Stewart type of comedy it might be the right time to question whether media priorities are bringing us in the right direction.